To see mummy in a dream may represent that you will hide secrets, gain information about an issue which has to remain as a secret and you won’t explain this. Also, it refers to a quiet person who doesn’t speak too much. To become a mummy or you are embalmed in your dream indicates that people will rumor about you, you will be excluded because you cause dissatisfaction. 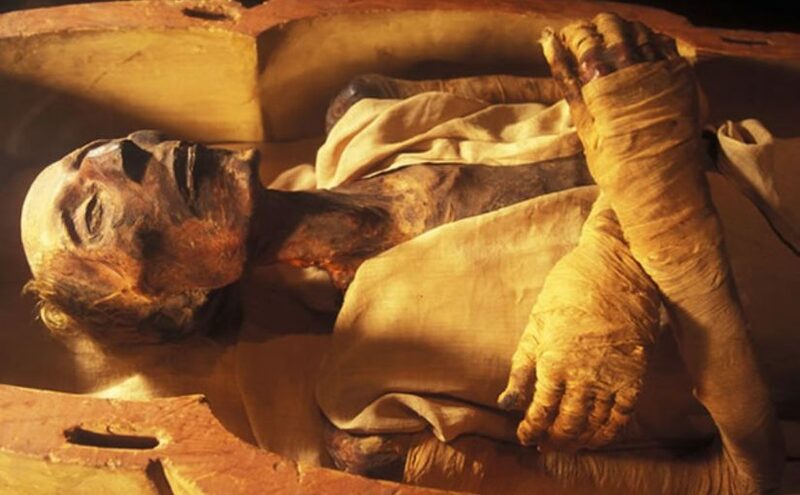 To dream that you embalm or make a mummy symbolizes an ill-intentioned person who dishes on someone in order to suppress his/her guilt or a person who lies easily in line with his/her interest. To see a mummy house in your dream represents that there will be a worrying issue recently, you will be left alone or by confronting your own fear, you won’t get over. To see a mummy museum in a dream symbolizes that you will meet with your old partner, come together with spouse who is abandoned or old friends. To fight with a mummy or kill it in your dream implies that you will have a discussion with your mother or father, act waywardly by not listening your elders. To burn a mummy or see a burning mummy in your dream denotes funny times which you have during holiday, throwing bad opinions in mind or resting mind.